Grilling your food can have both positive and negative effects on your body and health. Unhealthy grilling habits can attract a variety of illnesses and make you sick. According to American Institute for Cancer Research guidelines, grilling processed meat such as hotdogs and sausages can lead to the formation of carcinogenic substances in your body and increase your risk of developing colorectal cancer. Hence, it is advised to avoid processed meat and opt for healthier options. If you want to enjoy the grilled flavor, but still want to gain proper amounts of nutrition in your meal, you can begin practicing healthy grilling by using fresh fruits and vegetables instead of meat. By swapping meat with vegetable burgers or fruits of your choice, you can reduce your risk of developing cancer. Due to the presence of phytochemicals and vitamins in fruits and vegetables, you can actually ward-off various kinds of cancers and malignancies. According to a study conducted by University of Minnesota that tracked the eating habits of more than 70,000 Americans over a ten year time period, it was found that regularly consuming charred meat increased the risk of developing pancreatic cancer by up to 65%. 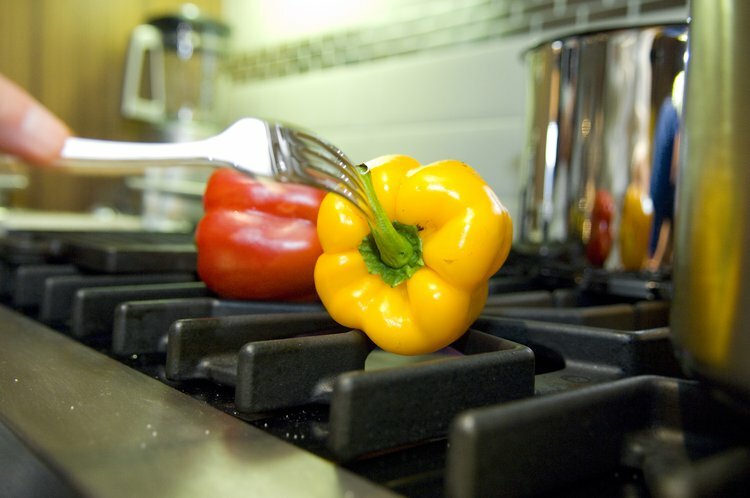 This is because cooking at a high temperature causes a definite increase in HCAs (heterocyclic amines) and PAHs (polycyclic aromatic hydrocarbons) in our body that have the potential to change our DNA and form cancerous cells in our body. Instead of opting for charred or well done meat, we can choose leaner or fat-trimmed meats that will keep us healthier and fitter. Fat rich meats drip fat and juice on the grill which create more smoke and lead to carcinogen formation. By regularly flipping your meat, you can save the meat from getting charred as well reduce the production of HCAs by 75-95%, according to Nutrition Action Health Letter, December 2012. According to American Institute for Cancer Research, marinating meat for at least 30 minutes can reduce the formation of HCAs. Prepared marinades contain polyphenolic antioxidants that can reduce the formation of HCAs and stabilize the natural sugars in the meats. Similarly, according to a team of researchers from Kansas State University and The Food Science Institute discovered that a regular steak cooked in marinade had an 88% drop in HCAs, which further proved that marinating your meat while grilling is a healthy practice. Grilling meat for longer periods of time can also turn out to be unhealthy, because you are unknowingly exposing your food to smoke and flames leading to formation of carcinogens. The American Institute of Cancer Research suggests that we should try fish or beef that gets quickly grilled and can retain its nutrition for a longer period of time. By cutting back on the time that your meat spends on the grill, you can eliminate 90% of the HCAs formed in the meat. Webb, R. (2002). Healthy eating. Grilling. Fire up your fruits and vegetables. Diabetes forecast, 55(8), 39-41. Hansen, E. (2000). Seafood Grilling Twice a Week. National Seafood Educators.